Uwe and Matthias are the two founders of one of the coolest coworking spaces in the world: Coworking Bansko. Opening officially in 2016, the space is centered on the friendships formed by the members and the experiences they share together. With an accepting community and overall fun atmosphere, Uwe and Matthias have created a place for digital nomads to learn from one another. 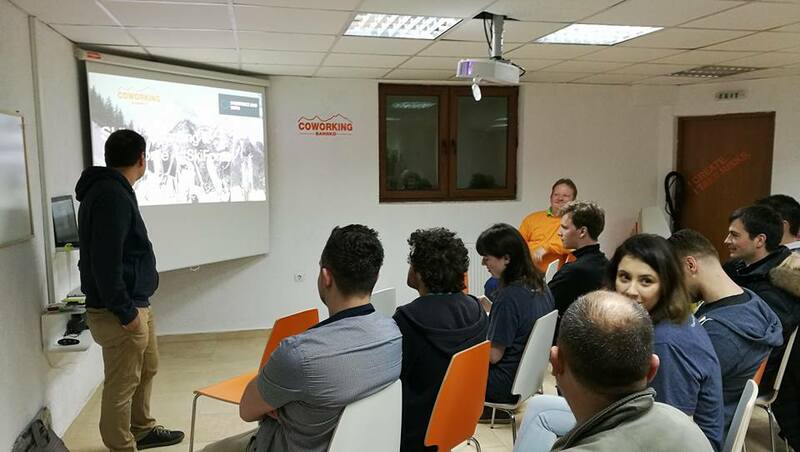 Read more about their journey to founding Coworking Bansko, here! We met at a pretty cool project called Coboat where two nomads wanted to turn a catamaran into a coworking space to sail around the world. This is exactly the type of crazy adventure that attracts people like us and being on a boat for 18 days where everyone has to work together allows to form strong bonds quickly, similar to a coworking space. Matthias already had lot of experience with coworking. First, he was part of an incubator program with shared offices and then became a member at Coworking Salzburg for about 5 years plus he ran an annual coworking popup called Coworking Camp, where a group of people spend 6 weeks together in a beach resort around the Mediterranean in November to escape the rainy European winter. Uwe is a qualified sailing captain, so he wasn’t involved with coworking before, but has a lot of experience transforming individuals into functional teams on sail boats. 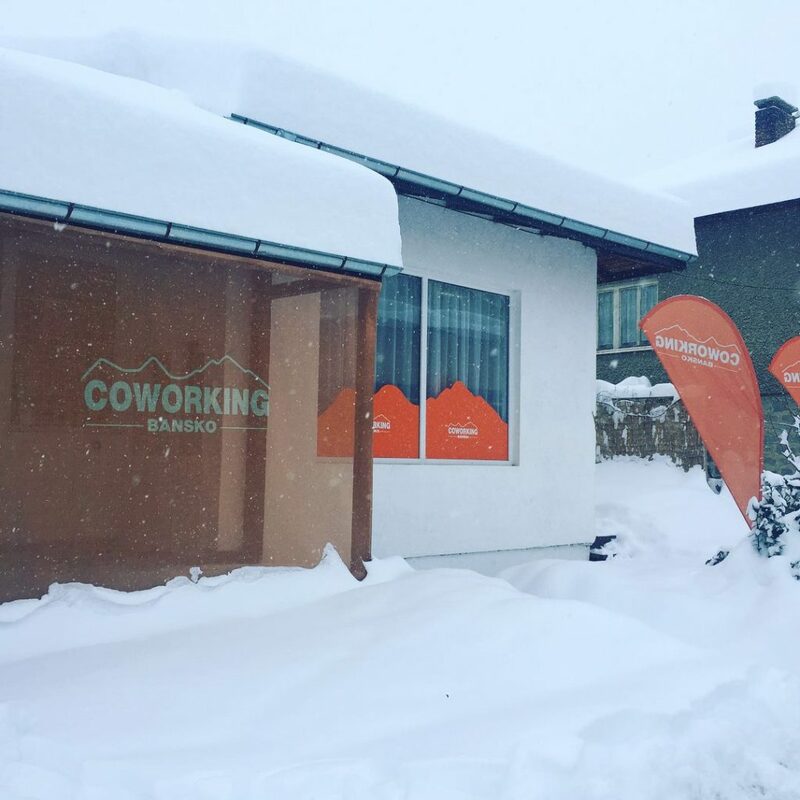 What is your involvement with Coworking Bansko? When did it open / why did you start it? We opened officially on December 15 th , 2016 so about 18 months ago. But we came to Bansko also during the summer 2016 and our first members arrived to our temporary office even before the actual space was ready. Both of us were looking for a base, Matthias summarized the advantages of Bansko here, and Bulgaria seemed like a great choice for nomads like us with a combination of 10% flat tax, low cost of living and a great climate. For us the coworking space is a way to be surrounded by a lot of amazing people in an otherwise very rural location. How would you describe the community at Coworking Bansko? You can learn more about it either in the coworker.com reviews or in this article about The Bansko Magnet effect. How would you explain the community at Coworking Bansko? 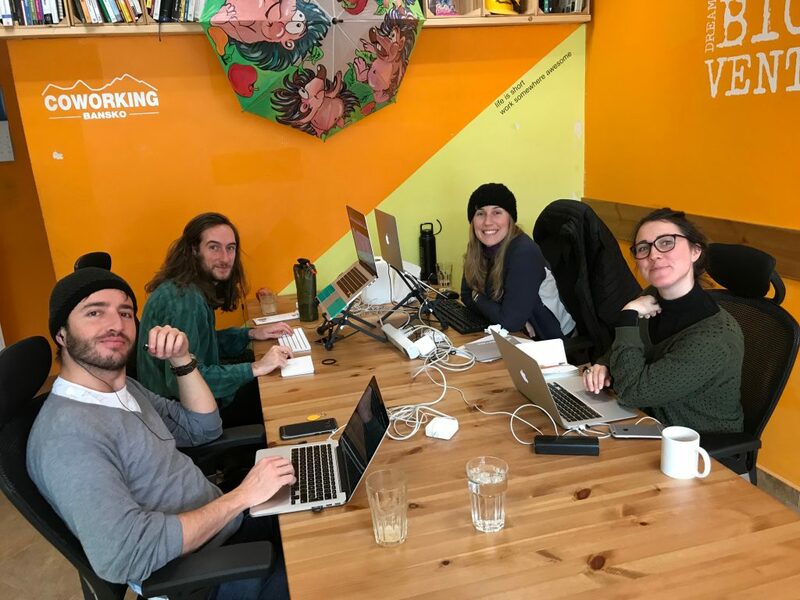 In our experience travelling the world, the atmosphere at different owner-operated coworking spaces is often heavily influenced by the founders. We wanted to create a community first and a business second. So, for us the coworking space is more of a philanthropic venture where we contribute a lot while we earn money with our other projects. Our members see this and they also want to contribute more than just the membership fees to make it an amazing place to be at. A lot of members either organize community events, do skill sharing workshops and help each other with their businesses. This environment where everyone contributes more than they expect to get back makes it an amazing community — – where in the end we all gain a lot. 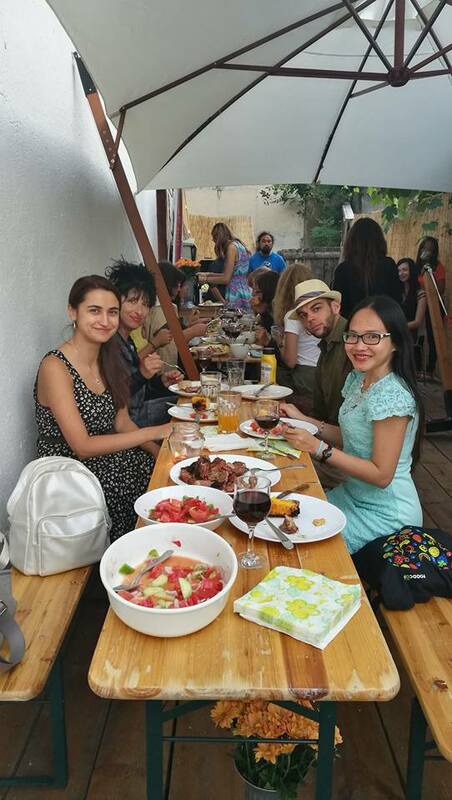 It is a combination of formal and informal events and activities that brings people together. On the business side we do events like showtime, where members can present their projects, and business challenge masterminds, where the community provides feedback to solve member’s problems. Then there are a lot of social events like game nights, weekly trips to the natural hot springs and of course a lot of joint lunches and dinners. Plus of course fun activities on the mountain like skiing, hiking or mountain biking. Bansko is a small village, so the social life of our members is heavily influenced through the coworking space and the connections they make here. This helps to establish and strengthen friendships with other members. To get exposed to new ideas and interesting people on a regular basis. We experience this coworking spaces while we travel and of course through the amazing mix of people to come to us in Bansko. If you could change one thing immediately in your business what might that be? We are reaching our capacity and will need to expand a bit more. Not too much, because we want to keep the community at a size where everyone has meaningful interactions with everyone else. For us this size is between 40 and 50 members. But weneed about 100m2 or so to keep it comfortable for everyone, even on days when most of members show up to work. We have a pretty diverse group of people working from coworking Bansko. Jenny is designing beautiful notebooks for beautiful people. Oscar is enabling the workplace freedom in Poland. Adam is selling funky fresh lights for the modern world. Frank sends media professionals to developing countries around the world to help local entrepreneurs grow. Marlies is building the fastest-growing search engine for dive professional courses. We probably underestimated the amount of effort to setup and operate the physical infrastructure of the space. In the first year there was a lot more construction and maintenance than we expected like installing a heating system, replacing windows, fixing the plumbing, dealing with water leaking through the foundations, replacing parts of the roof etc. We even published an article on medium about the first 18 months of building infrastructure with more details. Build the community first, especially if your space is not based in a big city downtown location. Visit lots of coworking spaces before opening, take the best ideas from everywhere and then build your perfect space. How would you like people to remember you and Coworking Bansko? As the place where they made lasting connections. We are organizing CUBB, the Coworking Unconference Bansko Bulgaria, in November and it would be great to finally meet everyone from the coworker.com team in person! Coworking Bansko has been an incredible experience for me. I spend the whole ski season there and found it beyond expectations in many ways. It is a very strong community with many social events. Highly recommended. Without a doubt, Coworking Bansko is a special place – not because tangible things (ofc everything you need is there) but intangible like people and bonding atmosphere. A place on top of the list to get back to.